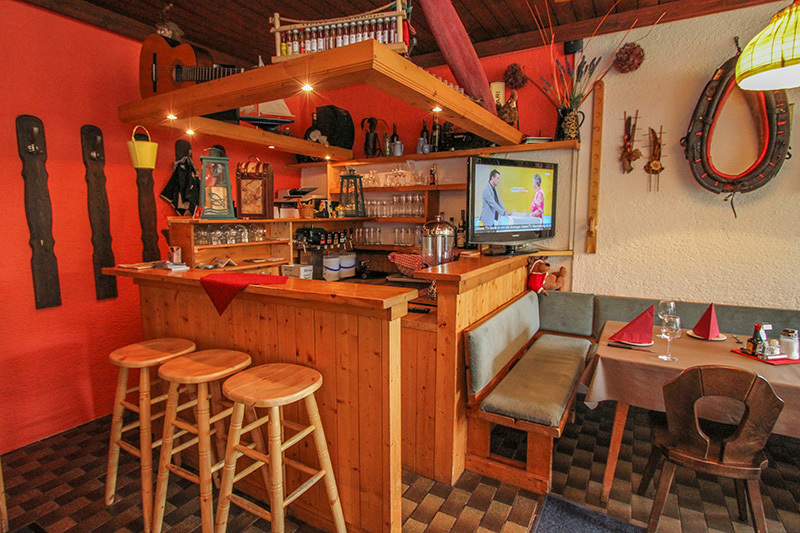 We are a small, cosy mountain inn with a rustic atmosphere, located at an altitude of 1250 m.
You can reach us by car - the access road is asphalted. 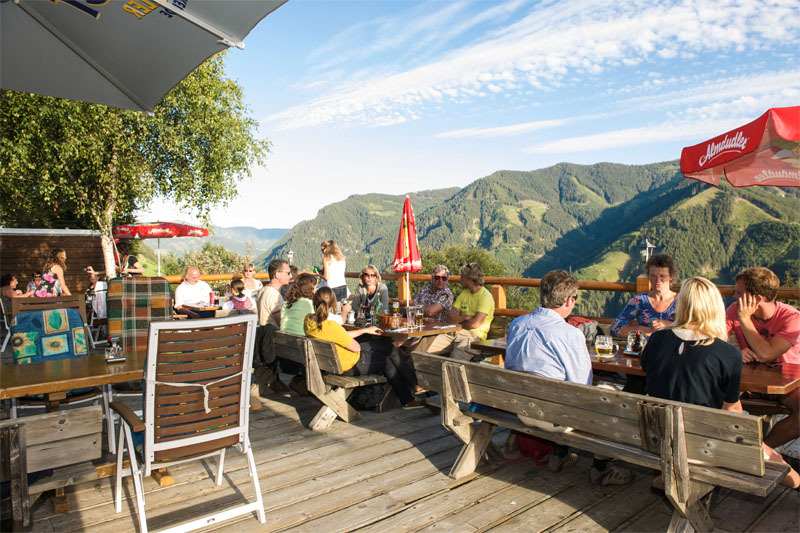 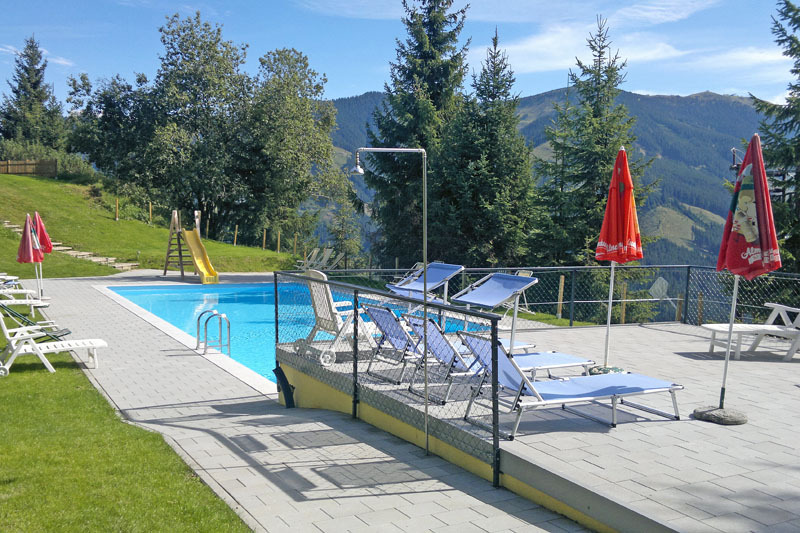 Enjoy your summer or winter holiday in Viehhofen to the fullest thanks to our fantastic views, and location right on the piste down to Viehhofen in the Saalbach-Hinterglemm-Leogang ski area. 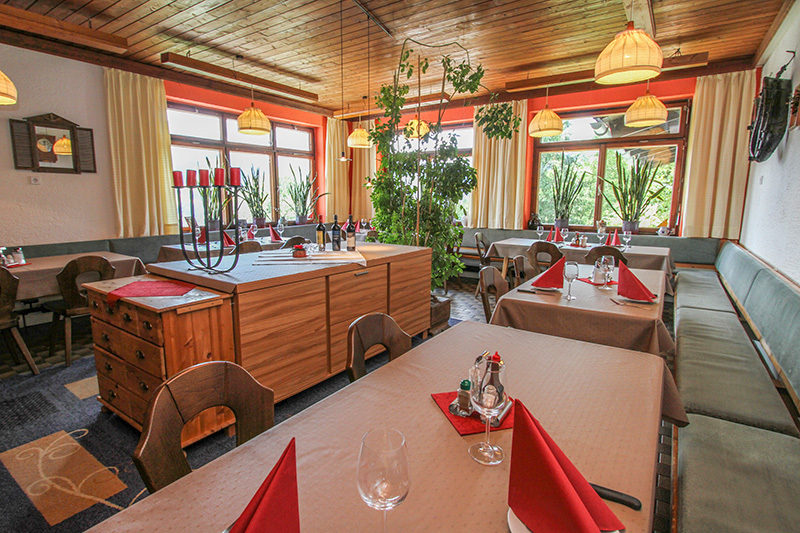 We offer half-board accommodation: breakfast buffet and 3-course evening menu, served on the terrace or in the restaurant. 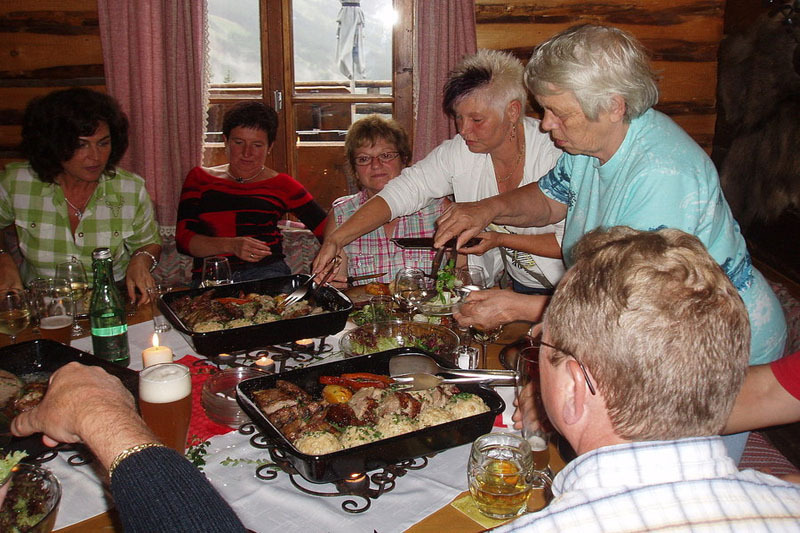 We are happy to serve you our specialities (Hecher steak, shrimps, and fondue) in the rustic Almbar. 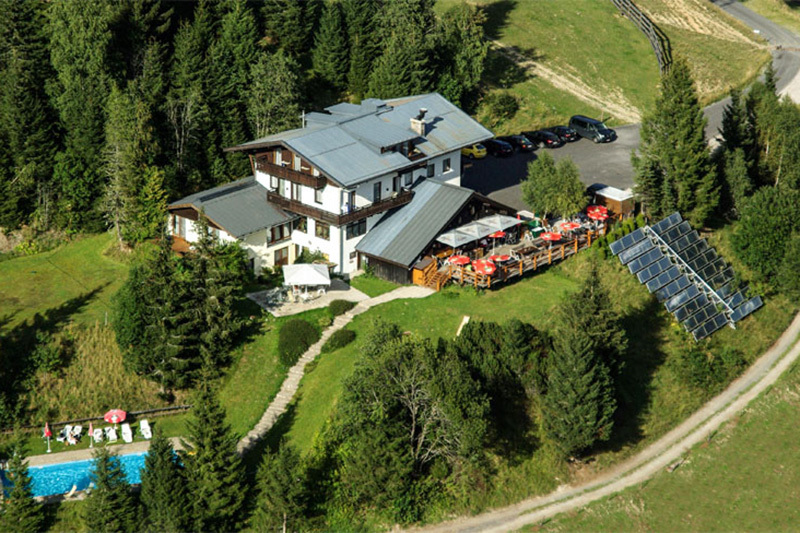 Ideal for: families, groups, companies, ski holidays, mountain holidays, motorbike trips, birthday parties, weddings. 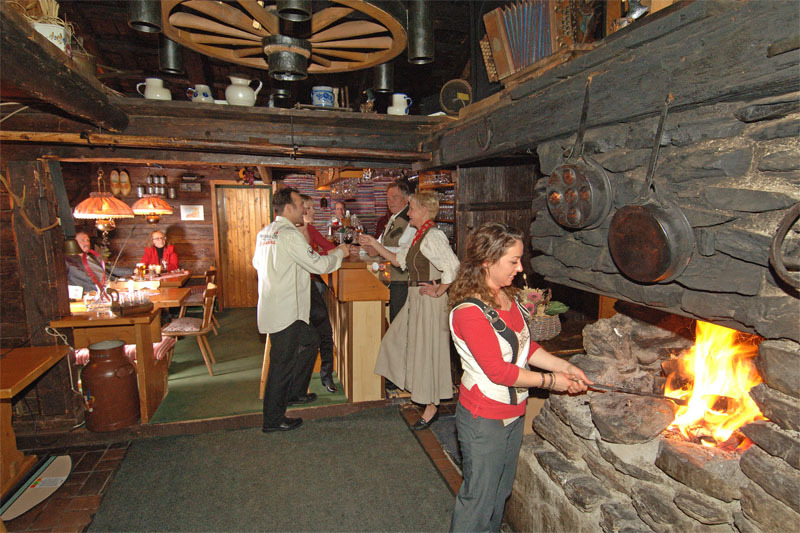 Hiking, swimming, relaxing, skiing, dancing, celebrating ....All this is the Hecherhütte.